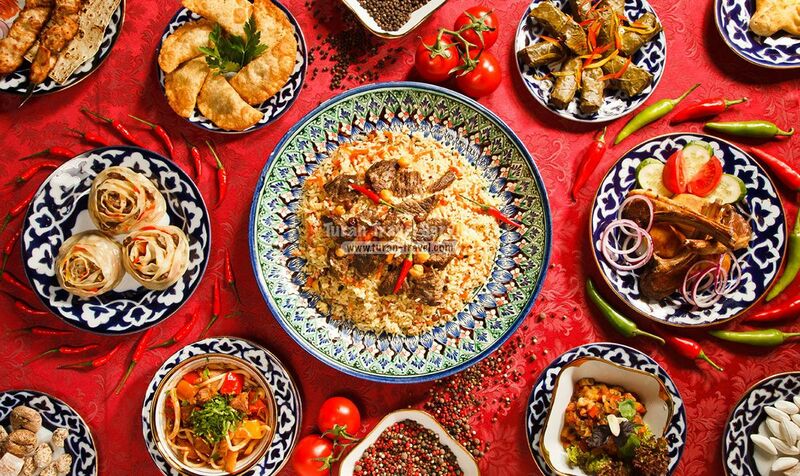 Being at the crossroads of the Great Silk Road, Uzbekistan is famous not only for its hospitality but also because of its excellent and varied cuisine, which is not only memorable for its distinctive taste but also absorbed into itself all the best from a variety of dishes from different countries! This tour will satisfy the desires both exquisite gourmet and a fan of great food! 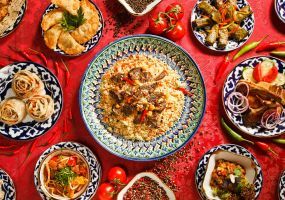 Treat yourself to an infinite number of wonderful tastes of Uzbek cuisine! Meeting at the Tashkent airport. 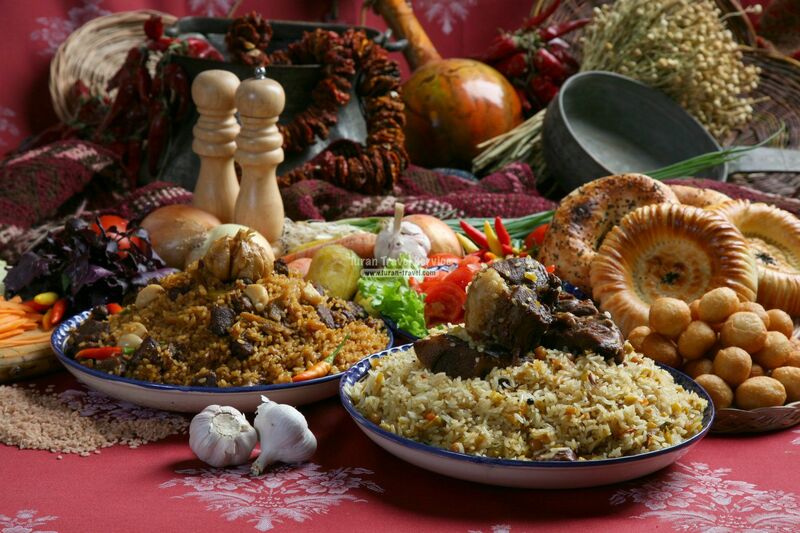 At your first dinner, we offer you to try a wonderful dish of Uzbek national cuisine - Shurpa! This delicious dish is cooked in a cauldron, from fresh sheep's meat, which is very long brewed on chalking heat, then add coarsely chopped vegetables (potatoes, carrots, turnips, lots of onions, Rayhon grass, dzhanbul, cilantro, dill, and spices). 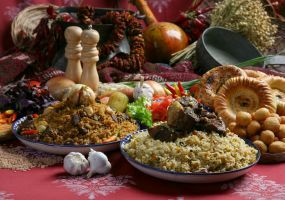 The finished dish is served in the following manner - meat and vegetables) are laid out on lyagan (a flat wide dish from clay and the liquid portion is served in special earthenware dish called Casa. In addition, you will be offered Gijduvan kebab and samosa with assorted vegetables and fragrant (spicy) green tea. 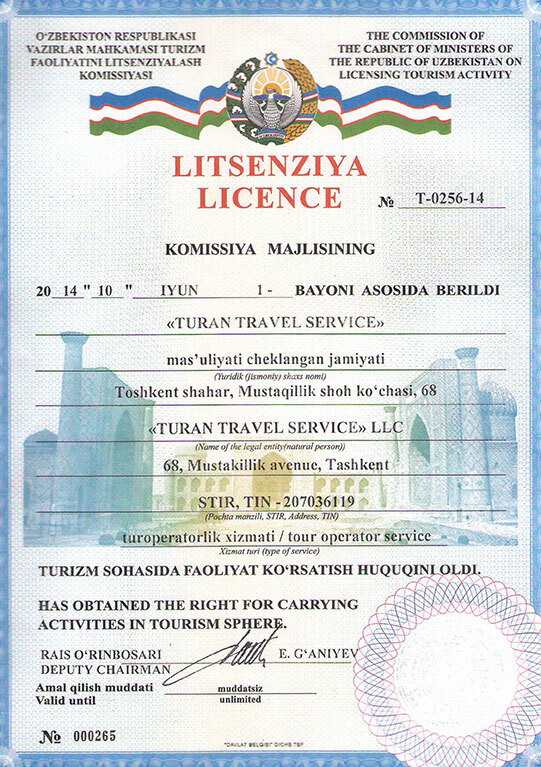 Transfer to Chimgan - a favorite vacation spot, both as for locals as tourists. The magnificence and beautiful mountain landscape affect everyone who has ever been there. 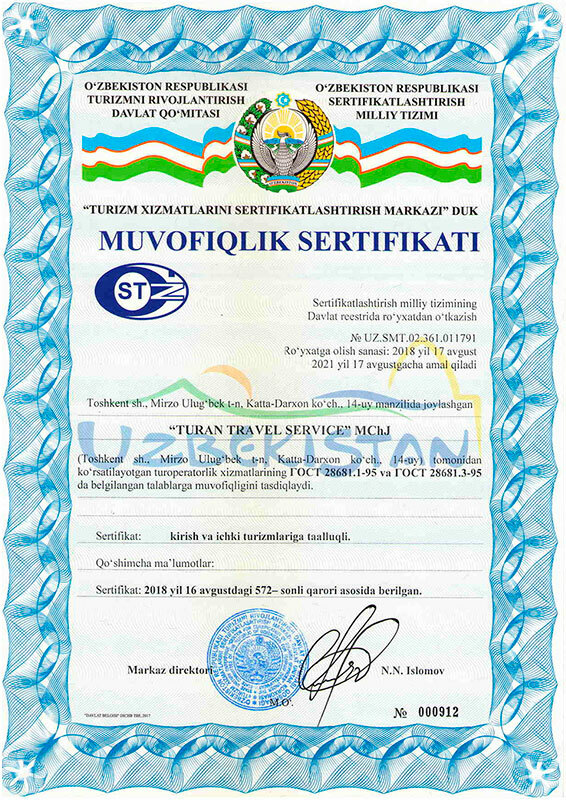 Here you will have the opportunity to ride on a cable car or swim in the Charvak water reservoir. 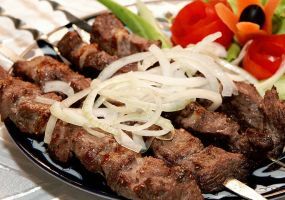 For lunch, you will be offered an amazing mountain lamb kebab marinated in aromatic spices strung on a rather short skewer interspersed with thin slices of mutton suet (Dumbo) and roasted on the grill. The aroma of roast meat, mingling with the smell of burning wood and wine vinegar, flavored with a faint hint of fragrant spices and makes it taste so rich and unforgettable. If you wish, you can drink mare's milk, in addition, you will have a unique opportunity to try the trout, which will be caught and cooked in your presence. Sightseeing tour of Tashkent subway. Your second dinner will be devoted to a widespread dish of Central Asia -Lagman. Lagman consists of noodles which are made by hand, up to half a meter from the special test. Noodles boiled and then poured specially prepared sauce of chopped meat, potato, carrots and of course the spice. Lagman is served in a deep dish (Cosa) - clay cups and always sprinkle with finely chopped greens. Mosque of Thiel Sheikh, madrasah of Barak Khan, the mausoleum of Shashi kafala, poet and philosopher X century. Museum madrassas of Mui Muborak, Kukeldash madrasah. 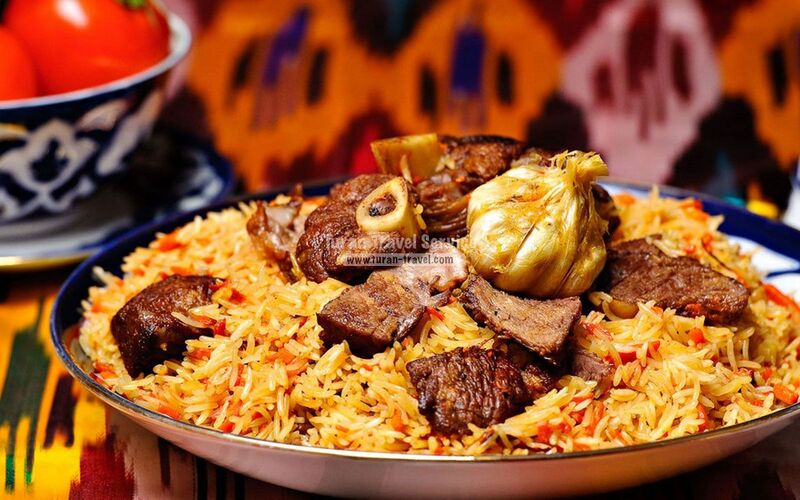 By the end of your tour, you will be invited to the main Uzbek national dish - plov, its unsurpassed taste you will always remember. 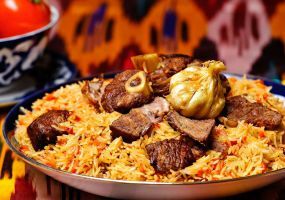 Plov is a dish that accompanies every major event in the family (birth, marriage, and a meeting of the guests), cooked on the hearth, always fresh lamb with an addition of oriental spices. Continuation of city tour: Amir Temur Square, Independence Square, Alisher Navoi Theatre, built in 1947 by Japanese war prisoners, the Museum of Applied Arts.